Mountain Top Flea Market. 11301 Hwy 278, West of Gladsden. Market opens at 5 am and runs until dark. Free admission. Parking and walking here can be a nightmare. Average attendance 30,000 with approximately 1000+ dealers. Space from $7. Per day. One of the areas most popular and interesting markets. Market covers over 96 acres and is located on a mountain in a rural area. Over 2.5 miles of booths. This market is a treasure hunters bonanza. Antiques, produce, crafts, new merchandise, secondhand items. If you are a dealer or a decorator this is a don't miss market. Overnite parking, restrooms, showers, 9 food concessions, lots of great food here. Inside and outside space available. c/p Mountain Top Flea Market, Inc., 11301 US Highway 278 West. Attalla, AL 35954. (800) 535-2286 or (205) 589-4119. Mtopflea@hopper.net. Farmers & Flea Market. Hours: 8am to 5pm. 344 Finley Ave W. Indoor/outdoor market with approx 50 dealers. Lots of produce, used merchandise, some new items and lots of locally made crafts. Restrooms, snack bar. (205) 251-8737. Fax: (205) 251-8106. Jefferson County Farmers Market. Free adm & ample parking. 344 Finley Ave. W. Snack bar, restrooms. (205) 251-8737. Tannehill Trade Days. Tannehill State Park. (Birmingham) Hours 7am-5pm. Admission charge. Ample parking. Approximately 450+ dealers. One of the South's larger and better flea markets, interesting market with a little bit of everything. Wide open market from fine antiques to new imports. Lots of primitives, country and farm related items. Excellent attendance for this event. Good market for the wholesale buyer and the serious collector, many quality collector fields represented here. This is an all day or entire weekend stop. Good food here, restrooms, ample parking, but a lot of walking, can be difficult for handicapped due to terrain. Camping & lodging nearby. Helen Riggins, (205) 477-5711. Jim's Flea Market. Highway 68. East on Highway 68 to Highway 11 South. Hours 6am until dark. Ample parking. Market averages 500 dealers. Market open on holidays. New and used merchandise, crafts, antiques, furniture, housewares, produce. Good selection of country and farm items. Snack bar, restrooms, h/a. Inside and outside space available c/p Charles Cook, Box 257. 35961. (256) 524-2536 or (888) 524-2536. Cullman Flea Market. I-65, Exit 308 on Highway 278. Hours 8am-5pm. Ample parking. Indoor, outdoor market with approximately 300 dealers. Crafts, fine art, jewelry, coins, new and used merchandise, antiques, books, collectibles, two food concessions. Market has several specialty shops located in an old bar that are open on weekdays. Market has a lot of special events and attractions. Overnight camping available. Space from $20. for the weekend. c/p Gene Bates, P.O. Box 921. 35055. (256) 739-0910. Fax: (256) 739-5352..
Southeastern Flea Market. Sports Arena. Ample paved parking. Large well attended market with good selection of antiques, collectibles and some new merchandise. Market is primarily composed of high quality collector lines. Food available, restrooms, h/a. Nice indoor facility. (205) 353-5313. Sadies Flea Market. 7990 Highway 231 S. 5 miles South of town. Hours 8am-5pm. Ample parking. Approximately 150 dealers. Good selection of merchandise, antiques, collectibles, new and used merchandise, sportswear, electronics, toys, crafts, junk. Nice market to poke around at because amongst the junk are some real treasures. Friendly, fun market. Snack bars, restrooms, h/a. Overnight camping avail. Space from $6. c/p Sadie's Flea Market, RT 11, Box 165, 36301. (334) 677-5138. Jed's Country Mall & Flea Market. Highway 231, 10 miles South of town. Ample parking. Hours 9am-6pm. Indoor space, 23,000 sq ft building and outdoor space avail. Antiques, lots of crafts, electronics, jewelry, housewares, new and used merchandise, produce, collectibles. Snack bar, good restaurant on premises. restrooms, h/a, good security. Market conducts many special events usually country and western or gospel themed. No mom, the Hooters Girls are not here. Space from $3. per day. Overnight camping available. c/p Jim Easterly, Rt 1, Box 223. Cottonwood, AL 36320. (334) 677-7234. Bargain Place Flea Market. Highway 143 & 14. Off I-65 exit 186 go 6 miles North at the RR Overpass. Ample parking. Market opens at 9am and runs until dark. 50 inside dealers. An everything goes market. Lots of merchandise here, new & used, collectibles, primitives, crafts, tools, toys, advertising items. Food concessions, restrooms, h/a. Inside and outside and some covered spaces. Overnight camping available. c/p Marty Greer. (334) 514-0336 or 567-7731. Lacon Trade Days. Old Highway 31, South between Birmingham and Huntsville. Hours sun-up until dark. Approximately 400 dealers. Outside and covered spaces. Interesting market with wide range of dealers, new and used merchandise, produce, livestock, antiques, toys, guns, knifes, jewelry, collectibles, crafts. Food, restrooms. Camping available. Space from $2.50. c/p T. C. McGee. Box 179, 35622. (205) 784-5091. Foley Flea market. Highway 59. Hours: 8am to 5pm. Free adm & ample parking. Indoor/outdoor market with approx 175 dealers. Snack bars, restrooms, h/a. c/p Pam Harding, (334) 943-6349. 431 Trade Days. Highway 431. Ample parking. Approximately 150 dealers. Inside and outside spaces. Lots of stuff here, new, used, collectibles, antiques, new, used and antique furniture, country and primitive, crafts. Snack bar, restrooms, h/a. Spaces for $2. Camping available. c/p Mona Hyatt. Rt. 9. 35905. (205) 538-5238. Rainbow Trade Day. Highway 77 and Steele Station Road. Across from K-Mart in the old Pontiac/Cadillac Building. Ample parking. Average daily attendance 3-500. Approximately 75 dealers. Good selection of used and new merchandise, housewares, sportswear, electronics, crafts, collectibles, primitives, glassware. Snack bar, restrooms, h/a. Spaces from $5. c/p Wayne Kern. 503 Country Club Drive. 35901. (205) 442-9928 or 442-3474. I-59 Flea Market. I-59, Exit 231, Hammondville. Hours: 8am - 5pm. Free adm & ample parking. Large outdoor commercial market with approx 350 dealers. Antiques, collectibles, new and used merchandise, lots of garage sale items, locally made crafts and produce. Snack bars, restrooms, h/a. (256) 635-6899. Evans Flea Market. Highway 280, four miles from Childersburg. Ample parking. Approximately 50 dealers. Antiques, crafts, produce, new merchandise. Snack bar, restrooms, h/a. Camping available. Space from $1. per day. c/p Manager, 33985 Hwy 25, 35078. (205) 672-2022. Fax: (205) 672-2203. Highway 127 Corridor Sale. The month of August, from the Thursday before the 3rd Sunday through Sunday. Sale runs along US Highway 127 through the states of Alabama, Kentucky, and Tennessee. Wherever you see a group of sellers, that's it. Park where you can and shop all along the highway. Great weekend trip. Route runs for 450 miles. Starts in Covington, Kentucky and ends at Gadsen, Alabama. Pay attention to your driving and parking. Great food and some wonderful shopping for "you name it" from locally made crafts to quality antiques. c/p Fentress County C of C, Box 1294. Jamestown, TN 38556. (800) 327-3945. For Alabama call (205) 549-0391. Madison Flea Market. 8600 W. Highway 72. I-65, Exit Highway 72, nine miles East. Hours 8am-5pm. Approximately 200 vendors. Books, new and used merchandise, clothing and furniture. Antiques, Collectible, produce, crafts, tools. Snack bar, restrooms, h/a. Outdoor and indoor market. Space from $10. c/p Jim Case, (256) 837-1880. Tennessee Valley Swap Meet & Trade Days. North Parkway and Winchester. Highway 231 and 431. Hours 8am-5pm. Ample parking. Approximately 30 dealers. New and used merchandise, tools, country and farm items, crafts. Snack bar, restrooms, h/a. Spaces $3. Overnite parking. c/p John Behman. 603 Dallas St. 35801. (256) 852-9700 or 536-8492. Limestone Flea Market. U. S. Highway 72. Hours Saturday 8am-5pm, Sunday 9am-5pm. Plenty of parking for buses and rv's. One of the area's largest indoor markets. Outdoor space also available. New market. New and used merchandise, imports, gifts, collectibles, sportswear, housewares, electronics, tools. Indoor market is 62,000 square foot building situated on 40 acres. (256) 233-5183. I-565 Trade Mart. Corner University Drive and Washington Street's. Ample parking. Indoor and outdoor market. Market conducts many special events. 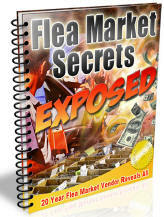 Has commercial vendors with large loads of new merchandise. If you are looking for deals on new merchandise to resell this is the place to bring a big truck and lots of "green" cash. Food available, restrooms, h/a. Camping available, showers on grounds. (256) 534-7960. Kelly's Flea Market. Highway 78, 3 miles east of town. Hours: Dawn to dusk. Outdoor market with approx 40 dealers. New and used merchandise, garage sale items, gifts, imports, crafts, produce. Space from 44. Snackbar, restroom. c/p Ray Fowler, 10016 Hwy 78, 35504. (205) 483-6045. Lacon Trade Days. Highway 31 South. Ample parking. Good range of merchandise here from lots of new and imports to secondhand items. Some collectibles, primitives, country, memorabilia and crafts. Snack bar, restrooms, h/a. (205) 784-5091. Limestone Flea Market. Highway 72 at Burgreen Road. hours: 9am to 5pm. Indoor market with approx 200 dealers. Antiques, collectibles, new and used merchandise. Space from 440. For the weekend. Snackbars, restrooms, h/a. Overnight camping. c/p Manager, 30030 Hwy 72, 35756. (256) 233-5183. Fax: (256) 233-1415. Alabama Flea Market. Highway 231. Across street from Jimmy's Smoke House. Ample parking. Market opens at 8am and runs until dark. Averages 50+ dealers. Indoor, outdoor & covered spaces. New and used merchandise, bric-a-brac, housewares, collectibles, primitives, crafts. Snack bar, restrooms, h/a. Space from $3. outside. Overnight camping avail. (334) 983-1795 or 983-4371. Bonanza Farmers & Flea Market. I-65 North, exit 179. Ample parking. Lots of flea market merchandise, plus antiques, collectibles, furniture, country and farm items and locally made crafts. Food available, restrooms, h/a. Inside and outside space available from $5 inside and $3 outside. ample parking. c/p Mrs. Chris Norris, Box 485. 36054. (334) 285-5145. Traders Village Flea Market. 9700 Cleste Road. 5 miles West of I-65, Exit 15. North Mobile. Lots of parking. Average daily attendance 2,000. New and used merchandise, collectibles, tools, primitives, crafts. Snack bar, restrooms, h/a. Space from $20 per weekend. (334) 675-5569. Flea Market Mobile. Airport Blvd. Exit W to 401 Schillinger Road N. Hours 9am-5pm. Average weekend attendance 20,000. Approximately 450+ dealers. Lots of covered spaces. Great selection of antiques and collectibles, including nice selection of antique furniture. New and used merchandise, coins, crafts, produce. No firearms or snakes allowed. Clean restrooms and snack bar, h/a. Space from $20 for weekend, $2. for electricity. Reservations recommended. Camping with showers and electricity available. c/p Flea Market Mobile, Daryl Thompson, 401 Schillinger Road N. 36608. (334) 633-7533 or 633-7571. Fax: (334) 639-0570. Malfunction Junction. 7721 Highway 90 at 15A mile marker on I-10. West at Highway 90. Ample parking. New and used merchandise. Lots of good collectibles at this market. Snack bar, restrooms, h/a. Spaces from $3. per day, tables and electricity available. Camping available on grounds. c/p Malfunction Junction. 7721 Hwy 90. 36601. (334) 653-5549. Po Boy Flea Market. 5250 Moffat Road. Ample parking. Approximately 50 dealers. Lots of flea market merchandise, some new merchandise, collectibles, crafts. Restrooms, snack bar, h/a. Spaces from $5. Camping available. (334) 343-2722. South Alabama Flea Market. I-10, Exit 13, South 1 mile. Ample parking. Market averages 40 dealers. Indoor and outdoor space, some covered. Some new merchandise, mostly used and secondhand items, good selection of primitives, collectibles and advertising items. Clean restrooms and snack bar, h/a. Food concessions welcome. Overnight camping avail. c/p Marie Massengill, 6511 Highmount Dr. Theodore, AL 36582. (334) 653-4736 or 653-5483. Montgomery Flea Market and Arts & Crafts Shows. Alcazar Shrine Temple. Ample parking. Seasonal market held on last Saturday of each month April through September. Antiques, collectibles, memorabilia, decorator items, lots of quality crafts. Food available, restrooms, h/a. (334) 279-9174. Montgomery's Gigantic Indoor Flea Market. 2270 E. South Blvd, one block west of Wal Mart. New market, opened in 1999. Friday's 12 to 6 pm, Sat & Sun 9am to 6 pm. Free adm, antiques, collectibles, new merchandise, used merchandise, approx 200 dealers. Snack bar, restrooms, h/a, ample parking. Space from $10. per day. c/p Barbara Butler, 2270 E. South Blvd, 36116. (334) 286-5005. Fax: (334) 281-2404. Smith Trade Days. Highway 441 North. Ample parking. Wide range of merchandise here, lots of secondhand items, tools, housewares, collectibles, country and farm items. Snack bar, restrooms, h/a and lots of walking. (205) 640-6444. North Alabama Flea Market. North Alabama Fairgrounds. Highway 43 South. Ample parking. Antiques, collectibles, memorabilia, primitives, country & farm items, used merchandise, bric-a-brac. Snack bar, restrooms, h/a. c/p Michael Epperson, 254 Seville St, #3. Florence, AL 35360. (800) 672-8988 or (256-764-6400. Valley Flea & Farmers Market. 3864 Highway 80 West. Indoor & outdoor market with approx 100+ dealers. Lots of 2nd hand merchandise, tools, clothes, crafts and new items. Pony rides. Clean restrooms and snack bar. Market is themed more like a carnival than a flea market, if you like a carnival or a county fair you will really like this market, otherwise. Space from $5. Camping nearby. c/p Gene Stafford, 3864 US Hwy 80 W. 36869. (334) 291-1496 or 298-3728. T & G's Flea and Antique Mall. 742 E. Main Street. From Montgomery, 1-65 North to Exit 179. Left on Cobbs Ford Road (becomes Main St. about 4 miles on left, just past hwy 31. Indoor, permanent booths. 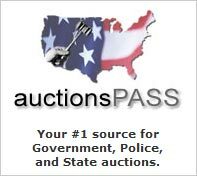 Antiques, collectibles, new & used merchandise. Approx 225 vendors. Space from $1.20 per sq ft. Reservations required. Snack bar, ample parking, handicapped acessible, restrooms. c/p Tina or Gloria, (334) 361-4500. email to thebrocks@bigfoot.com. Open Mon-Sat 9-5, Sunday's 1-5. First Monday Trade Days. Downtown, Courthouse Square. Market opens at dawn and runs until dark. No admission charge. Ample parking, but a lot of walking is required at the market and you may have to park a good distance from the market. Approx 250-300 dealers. No adm charge. One of the South's oldest and largest trade day events, antiques, crafts, lots of secondhand merchandise. Antique furniture, collectibles, primitives, interesting things here. Monthly event. This market can easily be a two day adventure. If you are looking for some quality items at a fair price then this is a market for you. Lots of good food here. Restrooms, h/a. Space from $5. per day. c/p Chamber of Commerce. Gayle Swafford, 409 S. Broad St. 35768. (256) 574-4468. Fax: (256) 574-4339. Selma Flea Market. Highway 80 & River Road. (Selma Bypass.) Hours 5am until dark. Ample parking. Approximately 3-400 vendors. Covered spaces and outdoor spaces, market features over 47 individual vendor shops. Antiques, furniture, toys, crafts, produce, antiques, collectibles, livestock, wide range of goods here. Clean, friendly, well managed market. Snack bar, restrooms, h/a, RV park next to market. Space from $8. per day under cover, $5. outside. c/p Gary Maluda. 606 River Road, 36703. (334) 875-0500. SMITHS - - Sat. & Sun. 431 N. 280 at Lee County 379. Old West Point Road. Exit 62 from I-85. Ample parking. Average daily attendance of 1500-2500. Approximately 300 exhibitors. New merchandise, housewares, sportswear, antiques and collectibles. Lots of advertising items, primitives and farm items. Snack bar, restrooms, h/a. Space from $5.00, $7.00, & $15.00. Camping available. c/p Steve and Ruth, Box 471. 36877. Highway 59 Flea Market. Intersection of Highway 59 and Highway 32. Between Robertsdale & Foley. Hours dawn to dusk. Ample parking. Year Round. Average attendance 9,000 per weekend. Market averages 300+ dealers. Travel Trailer Park. Mobile Home Park, discount furniture store and antique shops open daily. Good selection of antiques and collectibles in the shops. Wide variety of merchandise, friendly country atmosphere here, this is a market that is fun for both the buyer and seller. Good food, restrooms, h/a. Year round market. Over 1200 square feet of covered tables, with electricity for each. 23 acres and space for dealers who wish to bring their own tables or displays. Space from 45. Per day plus 45. For overnight camping. c/p Jeff Smith, 804 S. State hwy 59, 36580. (334) 989-6642. Fax: (334) 989-6809. Taco-bet Trade Days. Highway 40. Open 6am-6pm. Ample parking. Approximately 250 dealers. Wide range of goods at this market. Antiques, collectibles, new and used merchandise, lots of farm and country primitives. Crafts. Food available, restrooms, h/a and lots of walking is required. Space from $3. Average atten 5-7000. c/p Jerry And Keith Thompson Contact Information: (205) 228-6185. Tuscaloosa County Flea Market. Kicker Road. Hours: 8am-5pm. Free adm & ample parking. Indoor market with approx 25 dealers. Mostly used merchandise, imports, locally made crafts. Restroom. c/p Orman Corbin, (205) 533-9206. Highway 280 Flea Market. Highway 280 and Westover Street, at mile marker 21.5. Hours 8am-6pm. Ample parking. New and used merchandise, collectibles, primitives, crafts, country, tools. Food available. Restrooms, h/a. c/p Jeff Boomhower, (205) 678-6729. Trading Post Flea Market. Highway 14 West. Ample parking. New merchandise, closeouts, surplus, used merchandise, collectibles, crafts, produce, gifts, imports, country, primitives. Snack bar, restrooms, h/a. Space from $5. per day. Campground w/electricity. Auction on Friday nights. (334) 567-7728. Santuck Flea Market. 25 miles north of Montgomery. Route 231 North to Highway 9, then six miles to the irght. Ample parking. New, used merchandise, tools, collectibles, crafts. Snack bar, restrooms. Market open March through December. c/p Jack Johnson, 662 Dexter Road, 36092. (334) 567-7400. Monkey's Flea Market. Highway `W'. Ample parking. New and used merchandise, garage sale items, bric-a-brac, crafts, primitives, collectibles. Snack bar, restrooms, h/a. (205) 487-6802.